Are you struggling to make ends meet or are you one of the relatively few people who have all the money you need and want? Do you have a regular income stream that pays the bills, with some money leftover at the end of the month to have some fun? Or could you use a larger, steadier paycheck either because you're having trouble meeting all your financial obligations or because you want more fun, abundance, and excitement in your life? Well, whatever you think you want when it comes to money, income, and wealth, the key is to align this thinking with your personal Definition of Happiness. 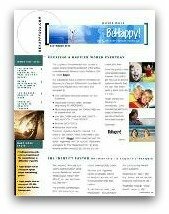 If you have spent any time here at BeHappy101.com, you know that my fundamental foundation for happiness is to really know what would make you totally and truly happy in life. That starts - and can only be known - by creating your personal Definition of Happiness. So, if you haven't yet created your Definition of Happiness, click on the "Get Instant Access" button below to get a set-by-step process for making sure you know what would truly make you happy in life. Do it now, then come back here to keep reading. Most people relate the word "stress" to something negative. And, yes, stress can be a major factor in our health - both mentally and physically. Stress can even have a negative impact on our relationships. In fact, financial stress has been found to be one of the leading causes of arguments in marriage, resulting in divorce in many cases. But really, new research indicates that stress can be a good thing. It just depends on how you think about it and how you respond to it. So, do you worry about money? Do you stay awake at night worrying about how you're going to make your next car or house payment, how you'll put your kids through college, or how you will ever be able to retire? Fundamentally, financial stress occurs when there is not enough income or available money to meet significant financial obligations. For some people, though, financial stress can even be felt when there is enough money to meet significant financial obligations, but not enough to meet serious goals and aspirations. And for some people, financial stress can even occur with more than enough money for everything (including luxuries) but the threat or risk of loss of that money creates stress or even comparing themselves with others (who may have even more money) can create stress. Certainly each of these situations requires a different strategy to reduce or eliminate the stress, but there is one concept which addresses them all - at least at a fundamental level. That concept is to develop a multiple-steams-of-income strategy. Unless you have already achieved true financial freedom (see the next section below) your financial plan MUST include a multiple-steams-of-income strategy. This is the best way - and perhaps the only way - to reduce or eliminate financial stress (again, unless you are already financially free, which is discussed below). I have a whole article on multiple-steams-of-income, which you can read by clicking here. It describes specific ways to create additional streams of income so that, first, you have enough income to meet all your needs and, more importantly, protect yourself from loss of income due to a job layoff, economic downturn, investment loss, or other risk to your financial life. First, what does it mean to "get rich"? Well, for most people, it means having enough money to enjoy the "good things" in life. We can all picture the life of a "rich person", can't we? Some people have a very positive picture of that person while others have a negative picture. Which are you? From here it can get a bit complicated since just about everyone thinks they want more money - perhaps even to be "rich" - but most people may either be wrong about that desire (at least partly) or not have the qualities necessary to achieve "financial freedom". Financial Freedom is simply the ability to spend our time as we desire, without financial constraints. Financial freedom is also sometimes called financial independence or early retirement by some, although they are not really the same. Like financial independence, financial freedom is achieved when one no longer needs to actively "work" in order to cover all living expenses. But by being "independent" of work is one thing. Being "free" to do whatever you want, above and beyond just covering living expenses is another thing. Financial freedom allows us to be "free" to do whatever we want, whenever we want, without worrying about income. Some people may continue working at a job that they love while also being financially free. It is important to understand, though, that a high income does not guarantee financial freedom. Many people whose income is greater than a million dollars per year must continue working to cover their high expenses and spending habits. There are also people making less than six figures annually who have achieved financial freedom due to their low expenses and simple, low-cost needs and desires. Most people reading this are not financially free (since less than 1% of people are). The next question is, do you want to achieve financial freedom? Well, this question goes back to the first concept mentioned above - your personal Definition of Happiness. Most people, when asked if they want financial freedom, would answer 'yes' without hesitation. But, the truth is, financial freedom is not for everyone. It may seem like a great concept, but in reality, the effort, sacrifice, and focus required to achieve it are just too much for some people - and not worth it in the end. That's why the creation of your true personal Definition of Happiness is so important. Because the goal here is to be happy - and if wealth, a higher income, or even financial freedom can help make you truly happy, then it may be worth it. But if not, the price may be too high to pay. I have an article on how "money can buy happiness" which you can read by clicking here. 1. Do something you love for your "Primary Source of Income"
Now, I realize these steps are very broad and somewhat basic. But in reality, these really are the steps required to increase your income, get rich, and even achieve financial freedom - while also being totally happy in life. To get deeper into each of the 4 steps, click on each of the steps to learn more about each step (but only after you have created your personal Definition of Happiness by clicking here - because that's really the first step). 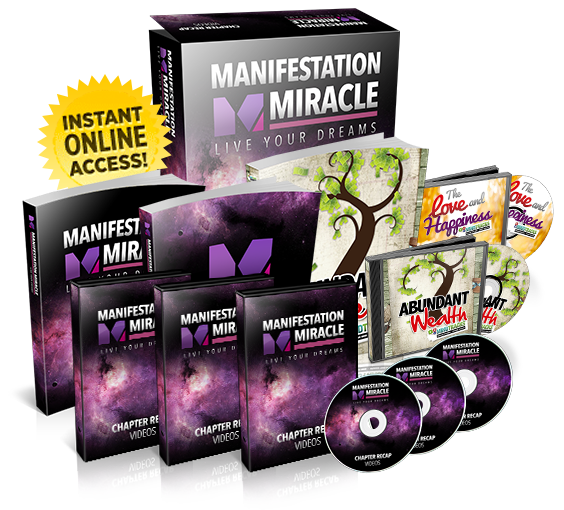 These next 4 steps will then guide you to a higher income, financial freedom and total happiness. 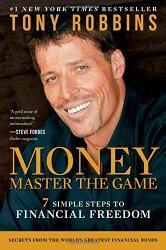 Then, a MUST read is the book shown on the right here, which was written by my former business partner, Tony Robbins. It's called Money: Master the Game. It is the best book I've read on wealth and financial freedom (well, yes, I may be a bit biased, but it really is good). Click here or on the picture of the book to get it now. Create a wealth mindset by clicking here. Establish your financial goals by clicking here. You need both a Happiness Plan and a Wealth Plan (which can be part of your overall Happiness Plan - especially if money and wealth are part of your Definition of Happiness). Click here to learn how to create your Happiness Plan. Click here to learn how to create your Wealth Plan.